Korede Bello shared his “Joko (freestyle)” back in February, along with a #TheJokoChallange where he promised to give out 500k each for 5 people who participate in the challenge (a rapper, a singer and 3 dancers or a dance group). The Mavin singer seems to have taken that promise even farther as he shares the music video for “Joko” with guest verses from the perceived winners, Fresh Prince and Miya B.
Paul Gambit directs the music video for “Joko”, setting Korede Bello, Fresh Prince and Miya B on the streets of Lagos, accompanied by an entourage of dancers who infuse more energy to the catchy beat Don Jazzy produces. 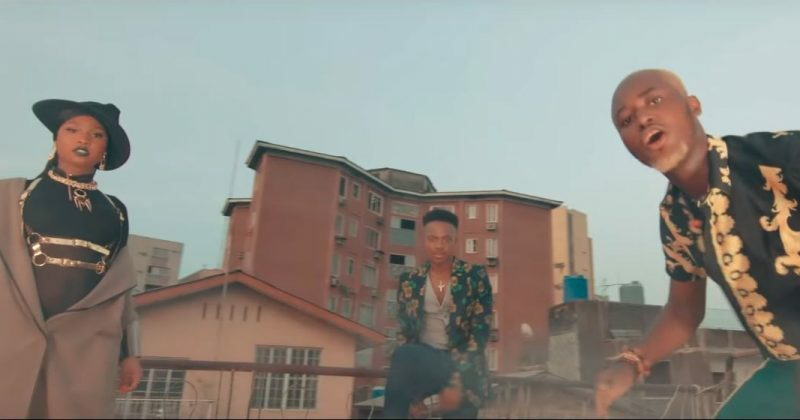 The street theme of the video seems to emphasize the song’s subject matter—“Olowo No Dey Pariwo (Rich People Don’t Shout)—as Fresh Prince and Miya B contribute verses to build on Korede Bello’s rebuke of the proud attitude from people who clearly don’t have as much money as he does. While Fresh Prince performs a fuji inspired verse, Miya B goes the hip-hop route with her verse. Watch the music video for “Joko” below.